Nov. 23, 2015, 12:05 p.m. The website circanews.com is now registered to Sinclair Broadcast Group, one of the largest TV station groups in the United States. By Joseph Lichterman @ylichterman Nov. 23, 2015, 12:05 p.m. It appears Circa may be making a comeback — of some kind. The domain name is now registered to Sinclair Broadcast Group, which owns 164 television stations in 79 U.S. markets and a number of other properties such as the American Sports Network and Ring of Honor professional wrestling. The site’s registration was last updated on Oct. 20. We reached out to both Sinclair general counsel Barry M. Faber and Circa cofounder Matt Galligan seeking confirmation of a deal, but we haven’t heard back. (We’ll update here if we do.) 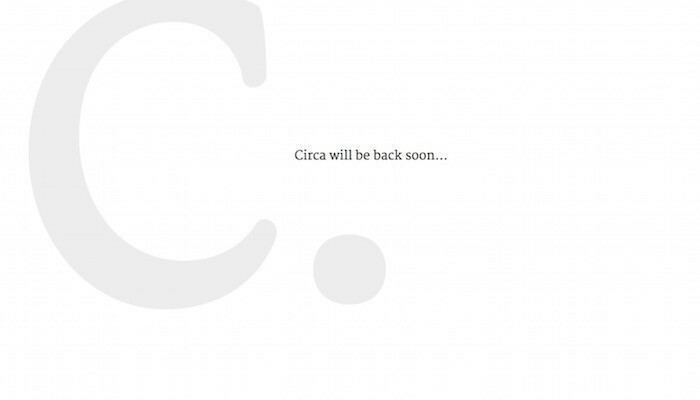 When Circa shut down in June, Galligan wrote that “as a company, we’re still working through an opportunity to keep the technology and spirit of Circa alive.” One of the possibilities long discussed for Circa was to sell or white-label its technology to a news company that could use it for its own apps; Sinclair’s many TV stations could certainly be a potential user base. Sinclair is the third-largest station group in the United States with $1.5 billion in revenue in 2014, according to TVNewsCheck. Though Sinclair is publicly traded, it tends to stay on the quiet side when dealing with the media. (I was told the company has no media relations staff, and my call seeking comment was routed to the general counsel’s office.) Sinclair also has a history of advocating for conservative political causes. Two weeks before the 2004 presidential election, the company forced 62 of its stations to broadcast a documentary critical of Democratic nominee John Kerry’s anti-Vietnam War advocacy in the 1970s. Sinclair then fired its Washington bureau chief, Jon Leiberman, who criticized the decision to air the documentary. “I feel so strongly that our credibility is at issue here…I feel our company is trying to sway this election,” Leiberman said. Circa, for its part, was known for its ideas about UX. (Its content was mostly aggregated from other sources.) Circa stories were broken up into cards that users could share, and the app let users follow specific stories and receive updates for incremental changes. Many in the industry admired Circa for its innovative news presentation and former Circa staffers still take credit for the influence they say their app had on how other outlets are experimenting with different story formats. Circa raised $5.7 million in initial funding, and Ken Doctor reported last year that it was looking for $8 million in additional venture funding. In April, Fortune’s Dan Primack reported that the company was looking for a buyer and in June Matthew Keys reported that Circa had been in discussion with Daily Dot Media about a potential sale. POSTED Nov. 23, 2015, 12:05 p.m.
Lichterman, Joseph. "Is Circa back? The mobile app might be returning via local TV stations." Nieman Journalism Lab. Nieman Foundation for Journalism at Harvard, 23 Nov. 2015. Web. 20 Apr. 2019. Lichterman, Joseph. "Is Circa back? The mobile app might be returning via local TV stations." Nieman Journalism Lab. Last modified November 23, 2015. Accessed April 20, 2019. https://www.niemanlab.org/2015/11/is-circa-back-the-mobile-app-might-be-returning-via-local-tv-stations/.